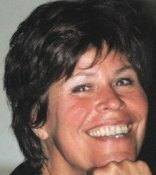 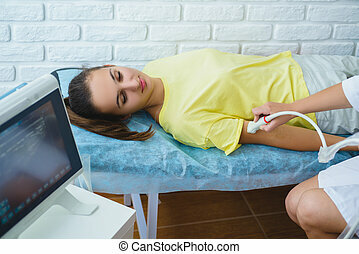 Physiotherapy with ultrasound. 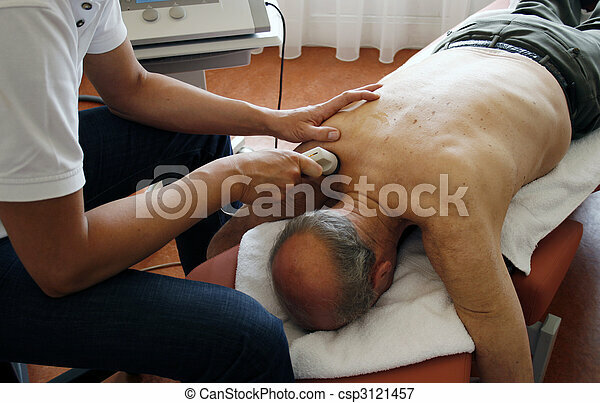 Physiotherpist works with ultrasound on senior patient. 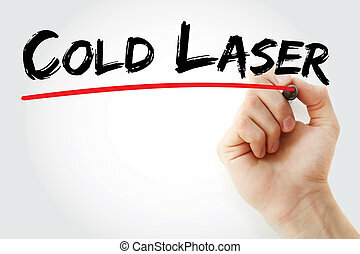 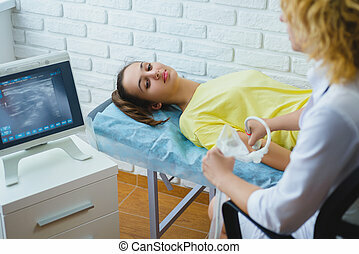 Rehabilitation and Sport: Professional Physiotherapy Treatment on Knee with Ultrasound Therapy. 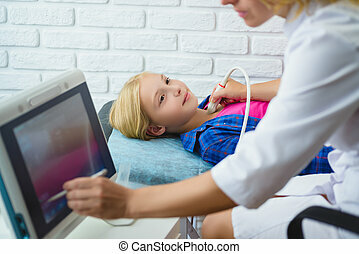 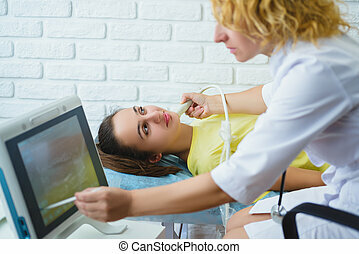 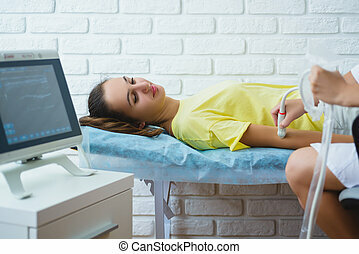 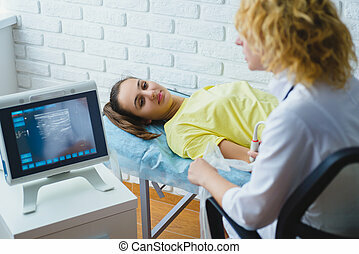 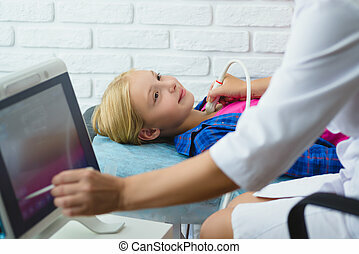 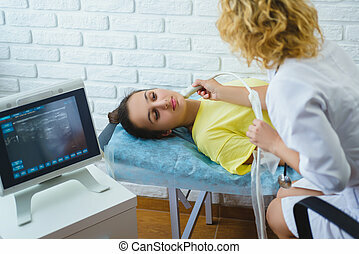 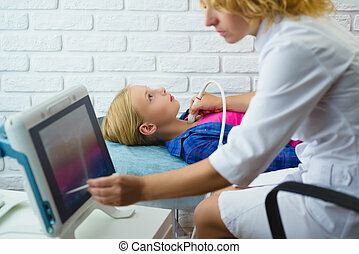 Female doctor examines girl patient with ultrasound in medical center.